Many folks have worked behind the scenes to help build Dell's Digital Media strategy. I'd be hard-pressed to find any single person who has been more influential to me than Wilson Tan. Up until last week, he worked for GCI Group, the PR agency that continues to be a strong partner for our digital media team and for Dell overall. Last week, Wilson told us he was leaving to return home to Singapore to support (and ultimately run) his family's office supply business there, which has been in existence for over 20 years. I'm writing this post to thank him and to wish him, his family and their business all the best. Beyond that, I'll try to explain why he's been so important to me. It really boils down to this: in my view, blogs (or any other related social media tools) are important, but they are empty technology without the people who make them work. Several of you may already know this story, but back in April 2006, before Direct2Dell happened, Michael Dell suggested that we start monitoring the blogosphere to find customers who blogged about their issues with Dell hardware and match them up with folks in our Tech Support organization to essentially provide tech support through the blogosphere. Seems pretty simple, but it wasn't. Wilson was the first person I called to figure out next steps. We had talked to companies that offered blog monitoring services in the past, and while they were good for tracking overall tonality or for surfacing high-level discussion trends, they weren't good at getting us the kind of detail we needed. Wilson was the main person who architected the process of monitoring the blogosphere back then, and he's been instrumental in helping us figure out how to better automate that monitoring capability moving forward. That work to monitor and engage with customers in the blogosphere in April 2006 was invaluable—it became the framework for Direct2Dell. Wilson was my right-hand man throughout the Direct2Dell launch as well. We launched the blog on a Sunday evening. It was discovered by the blogosphere the next day, Monday, July 10. Wilson helped me moderate the less than positive comments as they poured in by the hundreds on that first day. We reviewed each comment together in real-time over a phone conversation. We were still on the phone at 4am plugging away. I remember telling him I was exhausted and needed to go home. He was ready to go at 8am that next morning. Those early days weren't easy ones, but he was there with me day in and day out to make sure I stayed on track with customers. For those next several weeks, we'd spend time each night talking through comments that readers had left for that day. Most times we'd start about 9 or 10pm each night, and Wilson was always a phone call away. Throughout the time I've known him, he's always been that kind of guy. Wilson: It seems that words cannot express the depth of my gratitude. Thank you just doesn't begin to cover it. It's pretty simple: without your valuable contriibutions in the early days and beyond, Direct2Dell and many of our other digital media efforts would simply not be where they are today. You are a true friend who will be missed. Thanks again for everything, and may you find many successes in the future. How touching of this article. I learned a lot from Wilson professionally and personally as well. 1. Wilson is the man. You’ll be sorely missed! 2. Love the new skin! Abandon the blue! Keep up the good work, talk to you guys soon! Great post, Lionel. My thanks to Wilson as well. A great guy, always positive, professional and ready to work on solutions! We will miss working with you. What an amazing tribute from Lionel! Well done, Wilson. And welcome back to Singapore! Lionel – you “hit the nail on the head” with this. For me, Wilson has been a true friend and mentor so thanks for pulling together his tribute. Wilson – you better make a stop through London on your way to Singapore! Lionel – this is an incredible tribute. Wilson – we miss you already! Good luck! I, too, shared the pleasure of working with Wilson over the past few years. While we had very few client work responsibilites in common, I knew I could always count on him whenever I had a question, needed assistance or just wanted to talk. He’s a great friend and will be missed. It seems like yesterday when he came down from the GCI main office in NYC to work on the new business presentation that ultimately earned our agency the privilege of representing Dell. He was an integral part of that team and his dedication, positive attitude, commitment to excellence and innovative ideas have helped shape the firm’s unique culture and approach to client relationships. Nicely done Lionel. We get a lot of support from agency colleagues in our line of business but Wilson rocks as you so eloquently wrote. Wilson: I hope our paths do cross again in the future my friend. Nice post. I’m Marc Farley from EqualLogic. 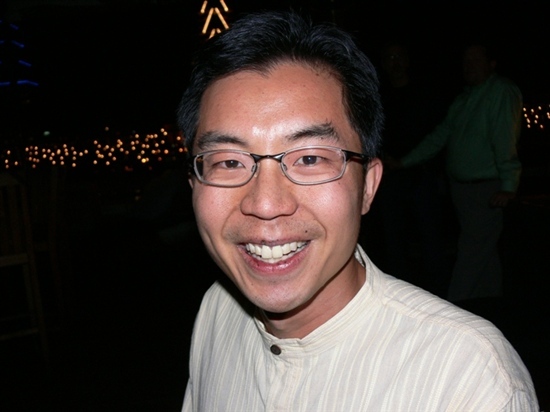 Your tribute to Wilson Tan speaks volumes about Dell’s efforts to provide real social media. We’ll always have Indiana and The Art of Tea! In addition to his outstanding work in the corporate world, Wilson directs the board of Austin’s Ten Thousand Villages and volunteers time as an advocate for children through CASA. Wilson, thank you for your friendship. Before you leave, remind me to return one of your NT Wright books. You must have made a good impression on my parents. They say now they’ll have an excuse to visit Singapore. Wilson you will be missed at Ten Thousand Villages. Your enthusiasm for blogging is contagious (even if I dont have the time). Thanks for your words of encouragement and wisdom. Your great ideas and work ethic will stay with me through the years. Please keep in touch. You know where to find me! I will miss Wilson’s wry commentary and insightful genius every day, even though I know e-mail will still bring us together. Wilson, you cannot give up your dreams–you must keep your inner focus on peace and justice in the world, even though your mind will be occupied with office supplies. It’s been great, great fun, Wilson, and I am convinced we will have more fun in the future!